Keeping track of your crypto portfolio can be almost as daunting as keeping track of your taxes for said crypto, but luckily there are some really good apps and websites out there that will help you along. Since late 2017 I have been using Blockfolio as my mobile solution for checking up on my investments (probably when I shouldn't be! ), but I was never really quite satisfied with the design or the functions. I tried out one or two others since then that did not impress me, and I have been hit up by countless companies this year to try their mobile crypto portfolio tracking apps (see my article on that here). I turned them all down, until the team at Kryptographe hit me up. At first, I almost dismissed the app as just another generic mass email to anyone in the cryptospace, but the screenshot I saw of Kryptographe is what made me JUST curious enough to respond to the developers and give it a test drive. I downloaded it from the Google play store (for SHAME if you use Apple, but they have that too!) and proceeded to create an account. I like they way they handle account creation, it's simple, straightforward, and with the OTP (one time password) system they use, you never really have to remember a password. The OTP was in my inbox immediately and I logged in to the app no problem. I was met with a well designed "Get Started" sequence of screens that help you to use the app your first time. In general the design of Kryptographe is top notch in this designers opinion. The best feature in my opinion is that they allow you to connect to a pretty large stable of exchanges to dynamically pull your data into the app. This has become pretty standard now, but they way they present it in the design is intuitive and just flows so much better than other mobile apps like Blockfolio that I have used. On my first attempt to add my Binance & Kucoin accounts I encountered an error. It gave me a clear error warning that the data sync was out of date, so I thought, "this is certainly the dagger in the back for this app", but I was totally wrong. I messaged the team and they got back to me within only a few minutes to gather more info and work on the problem. 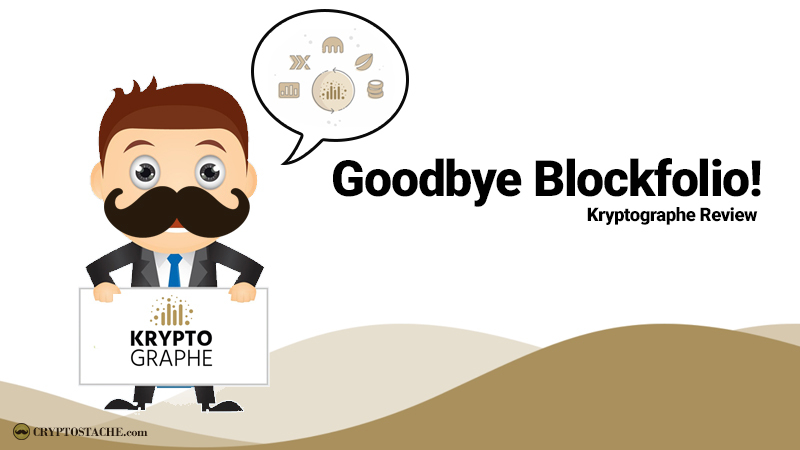 I was quite surprised to have such good communication with the Kryptographe team and it is really shows they are out to make a great app to track your crypto. With in a few days they pushed a new version to the app store and my problems were fixed!!! So many times in cryptocurrency (and software development) this is unheard of, but the Kryptographe team knows how to knock it out of the park. Once I got my Binance data synced like a champ the homepage totally came alive! I can see all the details I care about in an easy to read format that does not feel cramped or clustered. You can switch between day, week, month, year, and all time views and it calculates all the of gain & loss percentages. Yes this is my REAL Binance portfolio (you know I share almost EVERYTHING with my followers!) and the app just makes it easy to see exactly what you want, when you want. In addition to being able to connect exchange API's you can also manually add wallets for Bitcoin, Ethereum, Dash, Litecoin, Dogecoin, and Ripple. Have a few trades you just want to put in by hand? It can do that too! I consider this type of feature the MOST important when it comes to a quality cryptocurrency portfolio application and I love what I have seen so far. What really puts it over the top for me is the little "extras" that they have included like the Performance tab where you can see your ranking compared to others in the industry, which they break down further into sub categories. Super cool! I fall in the 66% percentile of all Investors for the last month and posted 51.07% growth. It shows all this with the same toggles for day, week, moth, etc. Love it! Switching between tabs many times triggers a popup full screen ad that you have to click to close. This is my LEAST favorite part of the app. I understand the need to support yourself with ads, and the good thing is they have a premium version that is only $4.99 (one time purchase) and is an ad-free experience. If you click the link to their app in my article here, when I get just 5 people to download it I get an upgrade to the premium version (and you can too!). Nothing huge, but a nice little incentive for users to share with friends if they like the app. Rolling down the easy to access menu at the bottom you also have a news aggregator that I was not very impressed by. They have some pre-loaded sources and you can't seem to change them in any way. Not a huge deal, but would love to see some customization here. I do like that they have incorporated CoinMarketCap.com API data in it's own tab so you can just lazily check the market straight from the app. Whether you love CMC or you have beef with them, I think it is a great feature to quickly see what is going on it the market beyond my own investments. Kryptographe has an overall great app, with killer design, a smoken' set of features like API data import from every major exchange, performance metrics, and built in CoinMarketCap data. The fact that it did not work initially when I downloaded it was a small disappointment, but they team fixed it right away so I think that says a lot. The news section could see the biggest improvements, but overall a VERY solid app for tracking your crypto portfolio. I am ditching my old mobile solution (Blockfolio) for this app and I don't think I will ever look back! Thanks for letting know about this wonderful folio app. 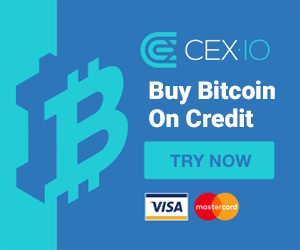 I am also a blogger, and i will as well as write a review on how to use this app the more to gain in the cryptocurrency world trading. Glad you liked the review Mr. Kings! I also suggest check out http://qoinfolio.com – Very easy to use, and yet has all the features you need to track and analyze your investments. And it really optimizes manual trades – which in my experience is the most useful option. Thanks Ian, I will check them out!